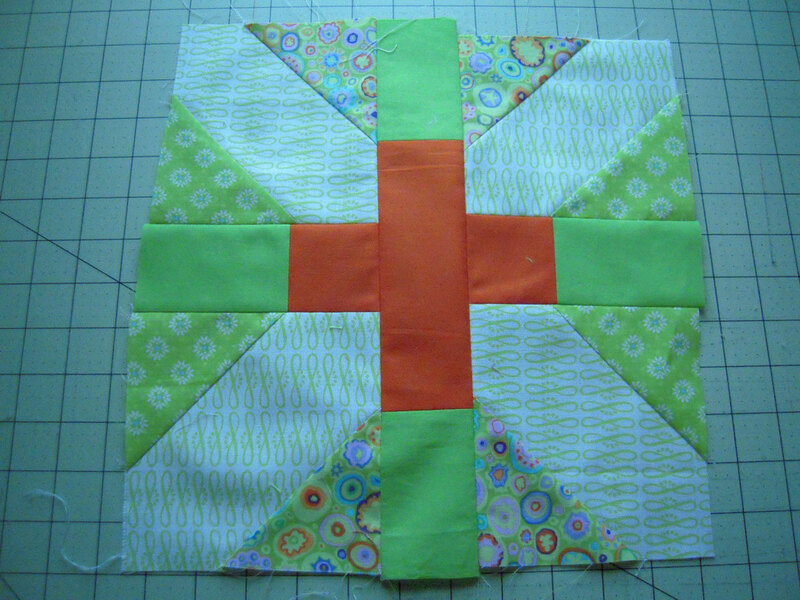 Now that the big dragon quilt project is pretty much over (still need to sew a sleeve on the back and make the label)… I’ve been going over my sewing area and doing a little cleaning and sewing. I recently was super inspired by another PMQG member, Susan Beal, who has been wearing skirts and dresses she sews herself. After talking with her, I purchased the Barcelona Skirts pattern by Amy Butler. I’m excited to try making something to wear ~ but it’s very scary. 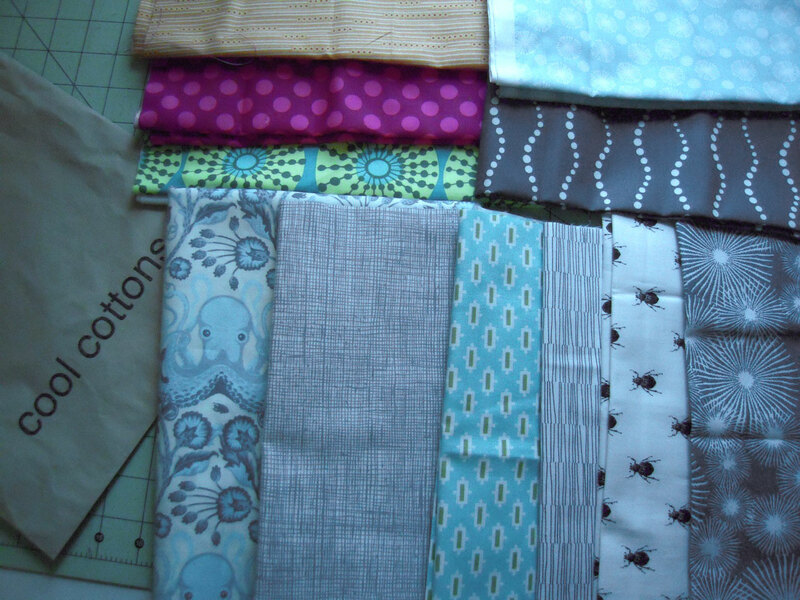 I don’t even know what kind of fabric(s) I want to use yet. Being a larger girl, clothes in general are kind of scary, but I’m in need of a little change. 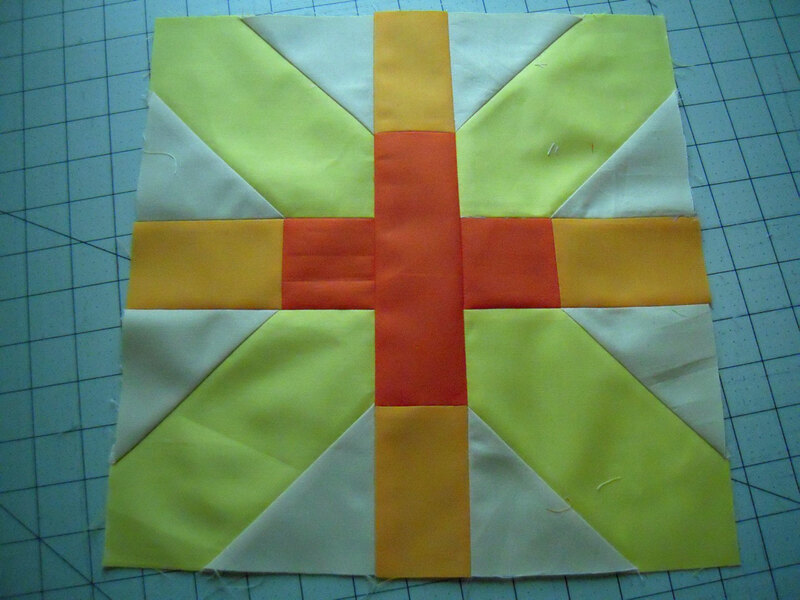 I have it pictured with another block I made using Anita’s Arrowheads pattern ~ super fun way to piece together a block! I think I’ll be making a quilt using those in some way. I’m still helping my daughter work on her cosplay costume for Sakura-Con… so that’s where my sewing time has been spent lately. 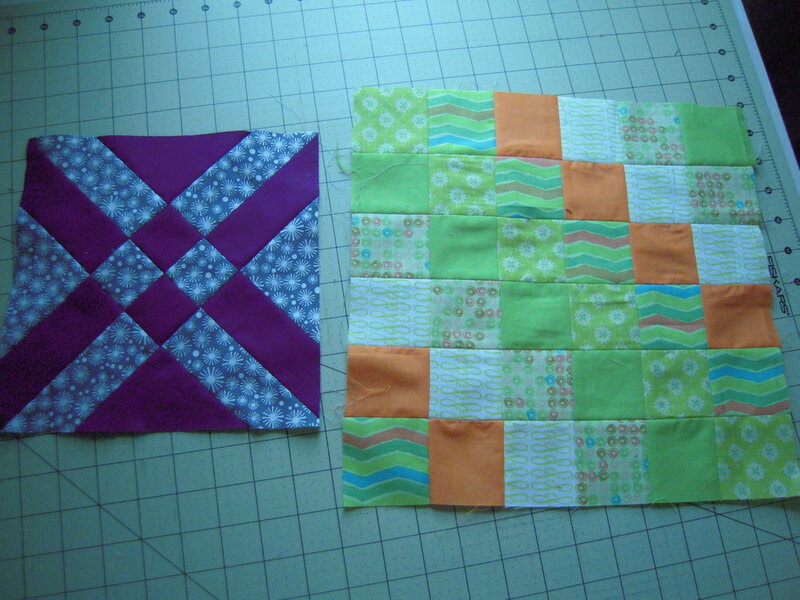 When that is done, and then I plan on getting busy with more quilty goodness! well, If you make a muslin first and fit it to your body you dont have to worry about fabric … try a Kona solid. Looks like fun! I too want to try making clothes, probably a skirt first and then a dress. It is scary! Next PostNext A New Skirt!